In honor of Mother’s Day, a star-studded lineup of Moms have joined HRC in advocating and standing up for their own kids and millions of LGBTQ youth across the country. 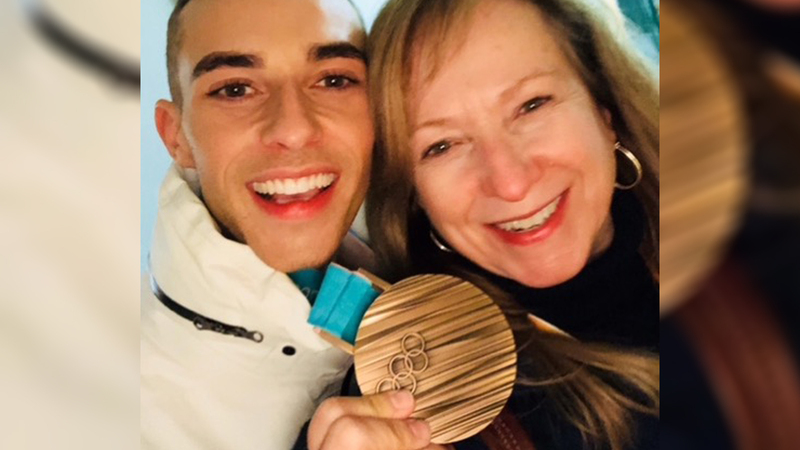 Today’s post featured below comes from Olympian Adam Rippon's mom, Kelly Rippon, who urges HRC members and supporters to protect young LGBTQ people. I’m so thrilled to be celebrating this Mother’s Day with you –– in my “Fight Like A Mother” t-shirt, of course! Today, I put it on to remind me of what my family is all about: treating everyone equally … with dignity … and with respect. Everyone, LGBTQ or otherwise, should get to live as freely as Adam does –– and, as one of HRC’s Moms for Equality, I’m committed to making that happen. Will you join me as an HRC member today? This whole campaign has become such a family affair. All of us are in this fight for LGBTQ equality … for Adam, of course, but also for all those young people like him who haven’t had an easy time openly being themselves. They need allies to support them, now more than ever! Adam went to PyeongChang to represent the United States as a member of the 2018 Olympic Team. He offered more than three impeccable performances. He offered hope to many who watched an openly gay man evolve as America’s sweetheart. Adam’s honest, engaging interviews and incredible composure under pressure exemplified the true spirit of the Olympic Games. I am very proud of his selection to the Olympic team, even prouder that his stellar performances contributed to his team medal, but most proud of him for making “being yourself” popular again and sharing his Olympic platform with the fight against discrimination that many LGBTQ people still face today. As his mother and a member of HRC, I’ll support him at every turn. On behalf of all the Moms for Equality, I hope you’ll join me as a member of HRC and work to build a better tomorrow. Whether you’re a Mom for Equality, a parent, a friend or part of the LGBTQ community, we hope that you join HRC and snag a limited-edition ”Fight Like a Mother” t-shirt today.